Trucking Live Shropshire is still the region’s largest showcase of trucks and truck products. It features hundreds of operators throughout Shropshire, Wales, the North West and the Midlands on display. 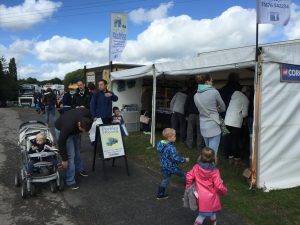 The show continues to be well attended and has a loyal following, many of whom do not visit any other truck events throughout the year! Last year’s attendance was over 12,000 people over the weekend. Over 12,000 people will attend the show over the weekend, that’s 12,000 people ready to try and buy your products! Have a great weekend at the UK’s friendliest Truck Show! Want more? Sign up for our exclusive offers and latest news!